Happy World Veterinary Day! Each year on the last Saturday in April, the World Veterinary Association looks to highlight, promote, and raise awareness of the work performed by veterinarians, veterinary technicians, and support staff all over the world. 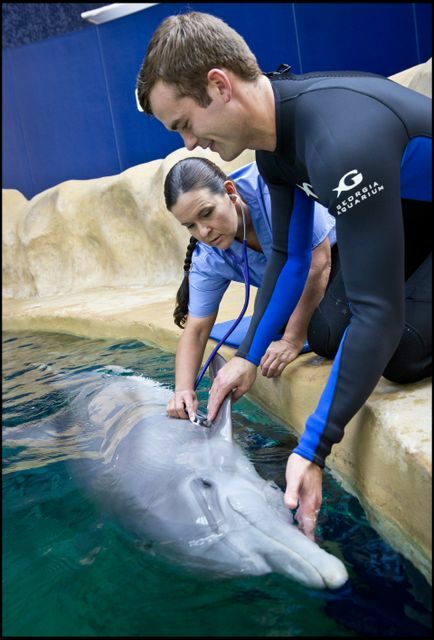 At Georgia Aquarium, our staff of veterinarians and veterinary technicians work day and night caring for our animals. Dr. Tonya Clauss, Senior Director of Animal Health at Georgia Aquarium, provided an in-depth look into how she became an aquatic veterinarian and the importance of preventative medicine for all species. For the month of March, we celebrated our bottlenose dolphins! During the final days of Dolphin Awareness Month, we showed an up-close look at how we care for our dolphins with a routine veterinary exam on Facebook Live. Earlier this year, our seventh rescued sea lion Hunter came to his forever home at Georgia Aquarium! Like many rescued sea lions, Hunter had sustained several injuries in the ocean. After arriving at Georgia Aquarium, his care team and veterinary staff noticed a whiteness in his left eye and irregular movement. Our veterinary staff, as well as a specialty animal ophthalmologist, will continue to assess Hunter and make sure he receives the best healthcare. 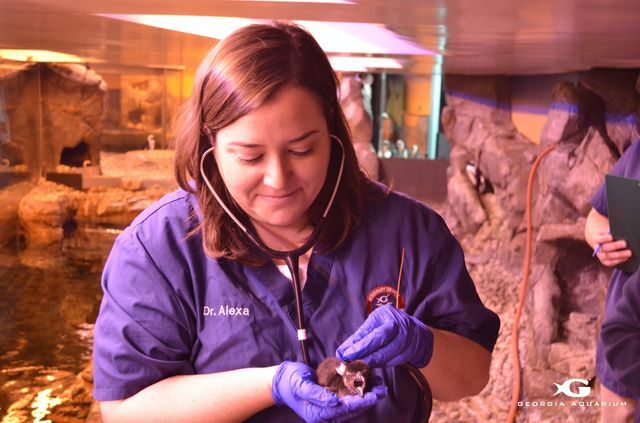 Georgia Aquarium has been fortunate enough to successfully hatch 26 African penguin chicks as part of the Association of Zoos and Aquariums’ (AZA) Species Survival Plan (SSP). The eggs are placed in our penguin nursery, which allows animal care teams and veterinary staff to better observe and provide care to the growing chicks. We’re celebrating World Veterinary Day on our social media channels all day long, so don’t forget to follow us on Facebook, Twitter, and Instagram using #WorldVetDay.